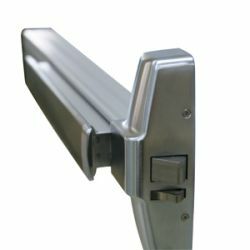 Rim exit devices have a surface-mounted latch or bolt that slides over the surface-mounted strike. The latch is located at the front edge of the center case. 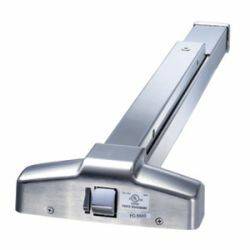 A dead latching mechanism prevents the latch from being forcibly retracted in order to gain unauthorized access. 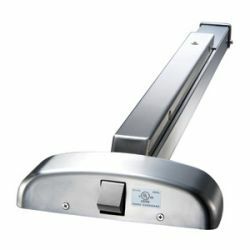 Rim exit devices can be equipped with outside trim containing a lock cylinder. FC5500 UL Listed. ANSI A156.3, Grade 1. FC6000 UL Listed. ANSI A156.3, Grade 1. FC1000 UL Listed. ANSI A156.3, Grade 1.